This NLP Life Coach Fundamentals Workshop is one of the most amazing self discovery journeys that will reveal your true abilities and capabilities– uncovering the full potential of your mind and body. Through this workshop you will gain an in-depth understanding of the fundamentals of NLP & Coaching, and the NLP Success minded principles that is the cornerstone of the world’s most successful people. NLP is very much a hands on experience. Reading about it is great to give you a taster, but you cannot truly learn it or get a deep understanding without practicing it and using it on a regular basis, in the same way that you can’t learn to drive a car from reading a book, even a really cool pop-up book with sound effects. This one day NLP Life coach Fundamentals workshop will give you the opportunity to see, feel and experience the benefits and power of NLP for yourself, and why it has been so effective in empowering so many people around the world in their personal and working lives. Have you’ve ever felt that no matter how much effort you’re putting into your life, you’re simply not advancing? – You may have started a business – you’re working hard at it, but nobody is buying. – You may have set a goal for yourself like losing ten kilograms, but you end up sabotaging yourself or giving up before the diet is complete. – You may have started your own coaching practice but as soon as you’ve started asking for money for your time and advice, nobody is interested anymore. Have you’ve ever felt like this – like pushing a boulder up a hill in the morning and for it to roll back down in the evening? Long time ago, I’ve heard Woody Allen’s quote “80% of success is just showing up”. I’ve thought that If I show up each day, the universe will align and I’m going to make my life resemble my goals. I was either working hard and not making any progress … or I was making progress, just to find a way to ruin everything before the finish line. Have you’ve ever drove with the handbrake up? It happened to me and no matter how much I pressed on the pedal, the car felt sluggish. For most of my life, I was living with the hand-brake on my potential, working harder but never getting ahead. If your answer is yes, if you feel like you’re going through life with the handbrake up, then what I’m going to reveal to you is going to change everything. I’m going to reveal to you the system that turned my life around, it is at the core of the biggest training and coaching company in Africa – Action Factory and transformed my life around. If you understand this system, I can make a promise to you. You’re going to lift that hand-brake immediately. You’re going to liberate all that power, all that energy to move towards what really matters to you. My head has a computer inside? Do you remember the first time you used a computer? Chances are that it was a complete mystery. It made little sense. You know what you wanted to do with it, but the computer wasn’t speaking your language. This computer came with limitless potential. You could use it to write a book, to learn from universities like Harvard and Stanford, to watch movies, to do financial analysis and even to talk with people from around the world. All of this came to a single question – can you speak its language or can you not? If you can, then this computer could be used to write a piece of software that made you millions. If you didn’t, then the best you could use it for was to play Solitaire. The human brain works the same. Between your ears, you have a biological machine that you can use to earn millions of dollars, write a best-selling novel, run a marathon, be an amazing parent, get a PHD in philosophy and whatever you put your mind to. Your brain is limitless. No machine can ever replicate it. There are more 100.000.000.000.000 (100 trillion) neural connections that can help you master any goal from fitness to quantum physics. Yet, your brain comes with the same challenge as the first time when you buy a computer. There is no user manual to it whatsoever! You learn how to write, you learn how to read, and you even learn how to do differential equations, yet nobody gave you a book on how your brain works. What’s worse – your brain seems to be in a constant fight, between your rational and emotional centres, telling you to do contradictory things. – You know you need to exercise yet you crave that cake. – You know you should be working on your website and yet, you waste time on news sites. – You know very well that arguing with people never works, yet, you can’t stop yourself from doing it. You have this incredible biological machine and it feels like a car with the steering reversed. You steer left, it goes right. You steer right, it goes left. You want to do something, you end up doing exactly the opposite. How your brain works is not intuitive, and it is not common sense. It is a complex biological machine that is good at many things but not at following orders. Because of this, even if we know what we want, it is sometimes incredibly hard to accomplish that. You don’t have the user manual. It is not your fault. If you buy a complex piece of machinery, you’re going to get a 300-page guide on how to operate it. Yet, nobody gives you a manual at birth on how to use the most complex machine in the entire universe. Give me the manual please! What if such a manual exists? What if I told you that I can show you a way for you to use harness the infinite power of your brain and achieve anything you’ve ever wanted? – All your fears, anxieties and worries could be gone? – You could simply decide to do something and do it, without procrastination? – Self sabotage would end and you would be your best friend when you want to accomplish something? – Accomplish any personal or business goal without friction and hassle? – Understand what you are doing and why you are doing it and eliminate that dreaded feeling of confusion? – You could start your day with five goals in mind and by the end of the day, have finished all of them without breaking a sweat? – You could take proper decisions, decisions that serve you and never act in an disempowering manner? There is such a system. I’ve found it. It is called NLP and it stands for neuro-linguistic programming. NLP is a system that allows you to take control of your brain (the neuro part) through how you communicate to yourself and to others (linguistic). You know how you can install applications on your phone, like Facebook or Instagram? This is how NLP works too. It allows you to install beliefs, and ways of thinking that allow your life to go wherever you want it to go. How good would it be if today you would go to a website and install the program “I don’t fear failure anymore?”. Or what if you could install the software “I’m determined and focused on accomplishing my goal?”. 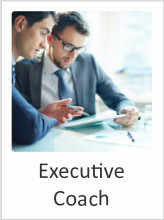 Or how would your life change if you could install “I’m an effective communicator with those around me?”. This is what NLP does. It is a proven pathway to install the behaviours and beliefs you desire in your brain and it is used by millions from all over the world, ranging from self-improvement superstars like Anthony Robbins to CEOs, entrepreneurs and even movie stars and music celebrities. It is your backdoor within your mind. You’re using NLP and you’ve been using it since you were 2 or 3 years old and you’ve learned how to talk. Everything you are today, what you like, dislike, how you act around strangers, how you perceive life and even if you prefer vanilla or chocolate ice-cream happened because of the principles explained in NLP. NLP is a set of systems, beliefs and technologies taken from fields as diverse as hypnotherapy, computer programming, Gestalt therapy and many more and which, as a whole, represents how the human brain function. NLP is the unified theory of how the brain works, the operating manual to your brain. It is the tool that once you understand it, you can unlock the limitless potential of your brain and direct it to achieve anything you desire. 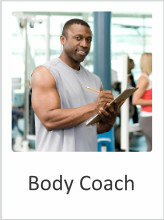 – You can use it to eliminate beliefs that are holding you back. – You can use it to destroy beliefs that are not serving you. – You can use it to communicate more effectively with others. – You can use it to understand yourself better and make sense of what’s happening in your mind. – You can use it to keep your mind disciplined towards what you want to accomplish. – You can use it to install new beliefs, anything from “I’m a great person” to “I love ice-cream”. – You can use it to eliminate phobias and stress responses in your life. NLP can be used to write who you are as a person. With it, the shy person can become confident. The person that is struggling to learn can become a genius. The person that procrastinates can become a lean, mean, hardworking machine. It is used in everything from self-improvement to trauma therapy, helping people with goals ranging from losing weight to post traumatic stress disorder. Your mind is similar to a ship. It can go anywhere you want. It can take you to the island of prosperity and happiness or crash in the North Pole. The ship is not going to drive itself. It needs a captain and a crew. Without these, the ship will just go randomly in a direction and eventually sink. NLP is the technology that allows you to put any captain you want. – Do you want a brave captain that takes risks and sails with audacity? It can be done. – Do you want a strategic captain that thinks twice and does once? It is possible. – Do you want a captain that is a great leader for his grew, always being aware of what is happening? It is very simple. For most people, the captain is decided by default. Using NLP, you decide your beliefs, your behaviour, the governing factors of how your subconscious mind will function. Here’s what you’re going to get. I’m inviting you to a completely FREE one day seminar on NLP. In this seminar, I’m going to show you how I’ve used NLP to turn my life around, how it works and most importantly, how you can apply it yourself. Here are seven reasons why you must attend this event. Reason #1 – You’ll understand what’s holding you back. At this moment, you have a set of beliefs that are preventing you from achieving the success you desire. NLP can replace those beliefs with new ones, far more suited for your goals. Reason #2 – You’ll understand who you are. For most people, what’s going in their brain is a complete mystery. NLP allows you to interpret through the power of a framework how your brain operates, and this tool will allow you to understand what serves you and what doesn’t. Reason #3 – You’ll be a better communicator. NLP is one of the main tools used in selling and persuasion today because if you can use language to influence yourself, you can use language to influence others. 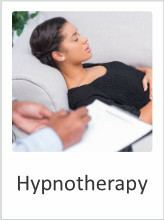 You’ll learn how to gain an almost hypnotic effect on people by using patterns in NLP. Reason #4 – You’ll understand the power of your subconscious mind. Your subconscious mind is the captain from our example earlier. It is in control. You’ll learn how to influence the captain using your conscious mind and make sure it obeys every single one of your commands. Reason #5 – You’ll discover how to deal effectively with stress and anxiety. Stress is nothing more than friction in your brain, between what it is and what it should be. It is a conflict of beliefs and the source of stress is in your brain, not in your body. Through NLP you’ll learn how to “clean” your mind of stress and how to always stay in an empowered state. Reason #6 – You’ll learn the power of modelling. An important part of NLP is the answer to the question of “How do we take what we see that it works with other people and make it our own?”. Modelling is the answer and it is a scientifically proven framework for “installing” desired skills, behaviours and thought loops in your mind. Reason #7 – You’ll take better decisions. Most decisions are not the result of conscious effort of your conscious mind but rather, the automatic outcome of what your subconscious mind wants. Using NLP, you’ll learn to take control of this process and take decisions that fully empower you. NLP is one of the few globally recognized tools for improving human performance. While there are many “success systems”, most are based on moral or philosophical backgrounds and success is achieved by osmosis. NLP is built based on observing and reverse engineering psycho-therapy tools, taking the best from fields as Ericksonian hypno-therapy and Gestalt family therapy and building a framework that is just as powerful as these tools but accessible to a public that is not specialized in psycho-therapy. NLP is popular because it works, and it works because it is based on logical, rational principles of how the mind works. It is not about how it should be or how we want it to be, but how the mind actually functions and how it can be influenced to function to our advantage. That being said, if you are looking for a proven, effective solution to influence yourself and influence others, then you can’t go wrong with NLP. The only thing that you need to understand is that NLP is a neutral. You can use it to program your mind for success and abundance or you can use it for destructive behaviour. It doesn’t tell you what to do with it, only gives you a way to do it. What does previous students say? Up to this moment, over 5500 students have tried this complimentary, one day NLP workshop and over 80% decided to continue their NLP education and training. Your investment for this event is exactly zero. If you feel like NLP is the right tool for you, either in your professional or personal life, then you will be given the chance to master it. However, at this moment, you risk nothing and you’re going to get a chance to understand and experience NLP hands-on. We are running NLP seminars all over South Africa so when you sign-up, you will receive an email with when the next seminar is in your area, so you don’t have to travel in order to see us. After you finish with the form below, you’ll receive an email. Please confirm by email your attendance as there is a limited number of spots and they are usually over-subscribed. NLP is the most powerful tool for personal improvement in the world. It is powerful because while most alternatives focus on how the world should be, NLP is practical, and it helps you take control over your mind. It is a tool that at its core uses the power of language to influence yourself by installing new behaviours and to influence others through effective communication. I’ve invested over 10 000 hours in this field and each hour paid a huge return on my time. Now, I’m ready to show you too how you can use neuro-linguistic programming to take control over your life and happiness by getting and understanding the user manual of the brain. PS: Do you have any questions about NLP and about this event? Please call 011-678-1176 to talk with one of our specialists or email us at info@actionfactory.co.za. How can you benefit from the NLP Life coach fundamentals workshop? 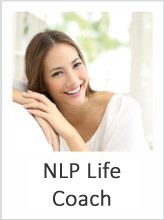 Apply your NLP training and techniques to Business, Coaching, Counselling, Teaching, Relationships, Parenting, Presenting, personal improvement and many more…..
You will find the materials and tools from this course of use immediately, and will start to feel the benefits in your life as you use them. You may want to try our NLP Life coach Fundamentals workshop before deciding to enrol for the internationally accredited Life coach certificate or Combined NLP & Life coach certification course. The day will provide a fascinating window on the world – you will start to see yourself and the world in new and expansive ways, utilising some of the most powerful tools and processes for change in the 21st Century. NLP creates powerful possibilities for your personal and corporate development, to take control of your life and destiny. Who should attend the NLP Life coach fundamentals workshop? If you have considered a career as a Life Coach, or If you have been going through life knowing that you deserve more than what you have right now, or if you believe that you can be a better version of you but just don’t know how to get there, this workshop is the answer. We have seen countless people, just like you, move from good to great, once they started implementing the NLP success minded principles. The reality is, if they can do it then so can you.